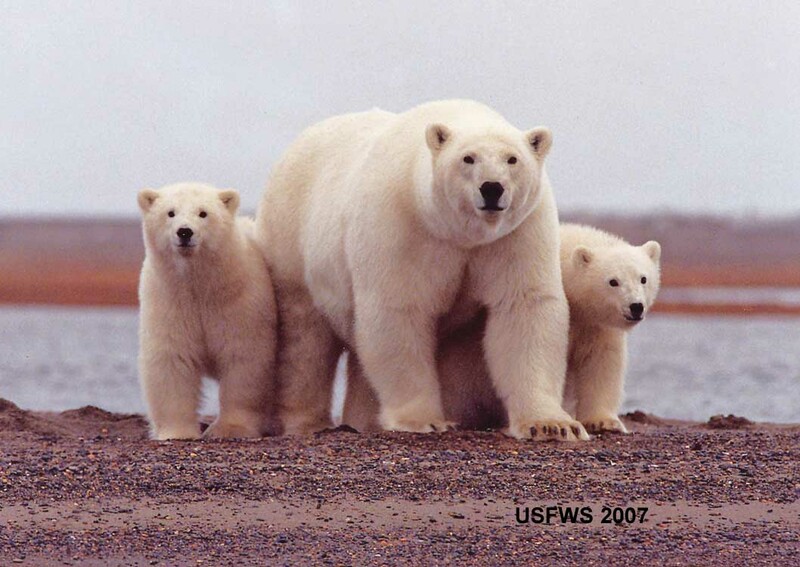 A Southern Beaufort female with cubs, from the fall of 2007. Twenty-one amazing photos of polar bears feasting on the remains of a bowhead whale carcass outside of Kaktovik, Alaska, taken by wildlife photographer Michal Tyl, have been posted by the UK Daily Mail (December 12, 2013): “Now that’s what you call a spare rib! Pack of bloody-faced polar bears spend day and night stripping a beached whale to its bones.” Have a look and see if you can spot any “starving” bears!